Tech Jump is the pilot of mentoring program in Schibsted Tech Polska – Academy project. The idea is to allow people to switch the technology or just to get to know another one. The program is voluntary so the most important is the will of both sides – the mentor and the mentee. It is expected to last six months and to take up to 10% of our work time. This initiative is the signal to employees that the company puts on their individual development and leaves the door open to change of their career paths, encouraging the exchange of knowledge and experience. We, all potential mentors, attended a workshop, conducted by an external company, which deals with the development of staff. The workshop was about the roles and the process of mentoring. We have not reinvented the wheel but the workshop most certainly dispelled the mist cast before our eyes. It let us realize how to conduct the process to be effective. So let me first share some conclusions that are most probably common for all of us participating in the workshop. There is a place to ASK and TELL in mentoring but a mentor should be encouraged especially to ask, using open questions. Adults learn primarily through experience. Therefore, a mentor should encourage experimentation. It is incredibly important to give feedback in this process. The mentor should use particularly positive feedback, but should also ask for feedback from his mentee. As a mentor you should show interest in the mentee’s work but you shouldn’t get involved too much. Motivation of the mentee is crucial. The process should have a goal set up internally between the mentee and the mentor. I suppose that all these simple rules could be helpful in daily life and communication at work. This is what I’ve gained from the workshop and what I will use. Now let me share more subjective feelings and ideas about the mentoring process. There is no reason to start at so called level zero of mentee knowledge. In our times, every programmer can quickly learn new things. The api is under Ctrl+Space. The documentation and tutorials are already out there, somewhere on the Internet. I’m not a teacher or examiner. I prefer to think about myself as a promoter. Language is just a language – a tool; for a programmer – yet another one. I’m here just to give some hints. I’m here to share my experience. Our goal would be a project built during the entire program. We will gradually add more blocks to it. In that way we will follow the entire stack and finally end up with a fully functional application. We will not waste time on single snippets taken out of real context, designed to simulate imaginary solution to some specific issues. In addition to the physical meetings we will use the source repository and pull requests that will allow us to be up to date and perform code review. We will also use checkstyle to confirm best practices and learn good habits and maven as our build and dependency management tool. I’m positive about the program and hope to provide you with the summary of how it worked out after the completion of the pilot. P.S. Does anyone remember Jumping Jack ? 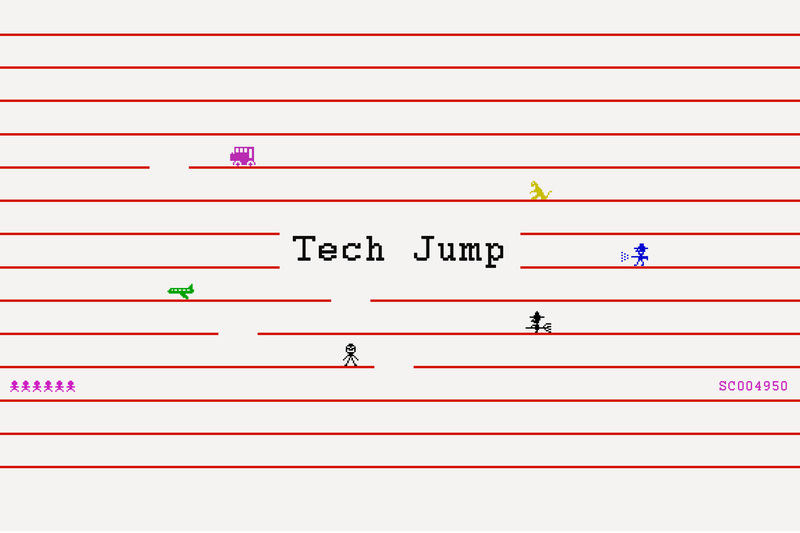 🙂 It was an arcade game, years ago, which involved jumping to the next level using a flowing gap. So if you wonder what’s going on with the featured image, you already know – this is what the game looked like. These days microservices are all at rage. Everyone writes “small reusable components”. This is why proper refactoring techniques are still as relevant today as they were couple of years ago…. Hiring programmers is hard. Finding the good ones and making them like your company or project is even harder. 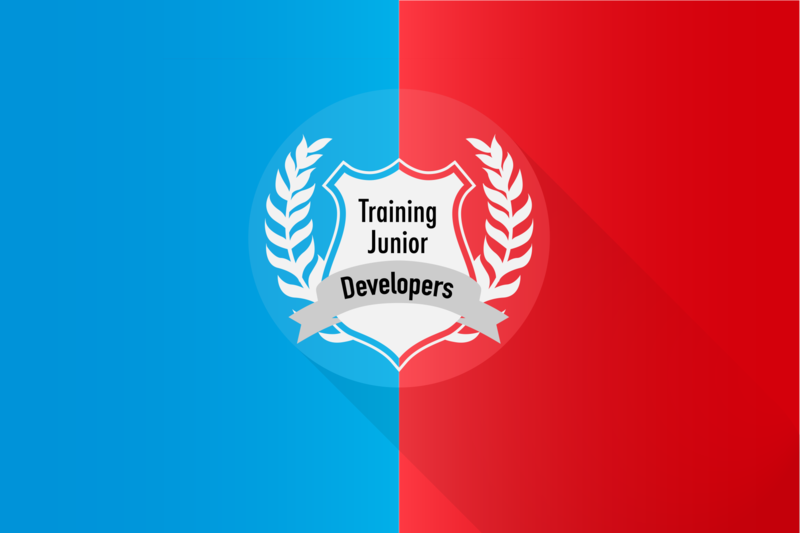 Today I want to tell you something about training junior developers….